Golden Edit is a one-stop online shop for both essentials and unique pieces for summer. Summer is more than just a time of year—it is a lifestyle, and one we wish we could live all year round. No other season exudes the same feeling of happiness or freedom; for three straight months, the world dreams of little else but falling in love, having adventures, and making memories that will last forever. Unfortunately, even scheduling direly-needed time off comes with some stress, and for the fashion-forward, in particular. In the middle of booking flights and coordinating hotels, a frustrating shopping trip easily puts a damper on any mood—especially when a simple but smart bikini is all that you’re after. Enter Golden Edit, the online boutique dedicated to curating the perfect summer wardrobe. Born, raised, and summered between a number of sun-kissed cities, founders Florencia Cavallo and Elise Labau Topaloglu live in a perpetual state of sunshine. With stamped-filled passports and suitcases filled with stylish souvenirs, the duo are now on a mission to bring the essentials to the world and make summertime even more carefree for everyone. 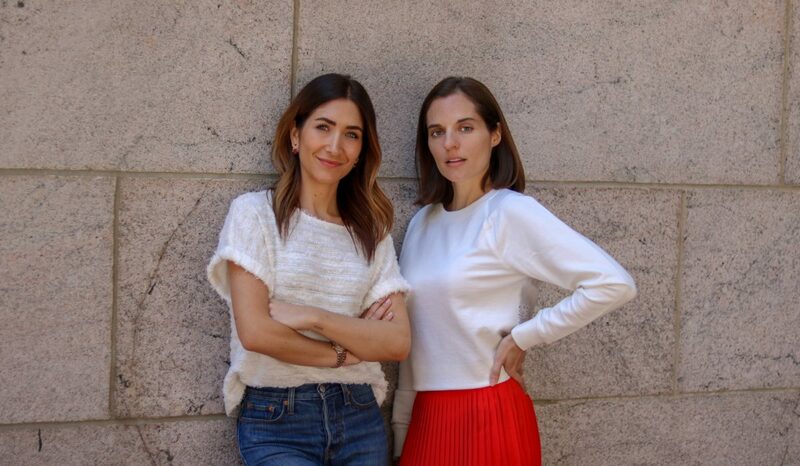 Golden Edit co-founders Florencia Cavallo and Elise Labau Topaloglu. Florencia Cavallo: I was born in Argentina and lived there until my family moved to Australia when I was 12. I grew up by the water in both places—in Argentina, my summers were spent in Mar del Plata and Miramar, south of Buenos Aires, as well as Bahia in Brazil. Australian summers were in Merimbula and Port Stephens, but I lived in Melbourne, which I like to think of as a baby New York. As a Pisces, I really am a water baby; I’m happiest when I’m by the ocean. After I graduated from uni, I lived in Coffs Harbour for a year, which is where I finally learned how to surf. I think I was the only Australian who didn’t know how to surf until then! ──────────────────────────────── Elise Labau Topaloglu: I was born in the south of France but grew up in St. Barth's in the Caribbean, and I spent my summers in Mallorca, Spain. You could say my parents were islanders and were already chasing the sun. I didn’t realize how unique this was until I was older. Golden Edit's collection is comprised of pieces from designers in the sunniest locations around the world. Where did you get the idea for Golden Edit? What did you feel was missing in the e-commerce landscape? FC: Travel is in our DNA and we’ve always loved the sense of discovery that goes along with travel, especially as it relates to the pieces you collect along the way. Whether it’s a linen dress you buy in Turkey or a woven bag you stumble upon at a market in Mexico, those pieces carry a memory of how you found it, and they’re usually pieces that you hold onto summer after summer. Golden Edit was born from that desire to discover. We would stumble upon these incredible pieces that we’d never seen before at a local market, which got us thinking: what if we could share these discoveries alongside a curated mix of brands from all corners of the globe? Elise and I were both working in fashion in PR. As we were planning our next summer escape, we realized that while there is so much “stuff” out there, unique pieces are hard to come by, and they don’t live under one roof. We were sick of scrolling through pages and pages looking for something as simple as a classic black triangle bikini, so we decided to bring together a curated selection of summer essentials that are available all year round under one roof. "The goal is to offer a constant selection of really great summer essentials anytime during the year." In your own words, describe the Golden Edit concept. ELT: Golden Edit is about chasing the sun and creating a platform where women can experience summer all year round. Summer is a state of mind for us. We wanted to celebrate travel, craftsmanship, quality, and sustainability while offering a carefully selected mix of established and emerging brands from some of the sunniest destinations around the globe. Curation is key; it was really important to us to offer a selection that is palatable, making it simple for women to edit their vacation wardrobe while introducing them to new brands or unique one-off pieces. The goal is to offer a constant selection of really great summer essentials anytime during the year—not just during resort and summer at retail. The way we think about it is: if your most stylish friend came over to help you pack for your next getaway, what would she throw into your suitcase for that perfect vacation wardrobe? Elise Labau Topaloglu overlooking the ocean. Tell me about some of your unique pieces. Where did you find them? What did you love about them? FC: We’re really excited to be able to offer a small selection of items we discovered during our travels. When I was in Guanajuato, Mexico last year, I came across these colorful woven bags made from recycled plastic. They were so fun and happy, and I knew on the spot I had to bring some back. Each one of them has a unique design and color combination. The handmade Turkish towels that we have on the site, Elise brought back from Istanbul. She also discovered these netted bags in Mallorca, which are perfect for running errands, going to the markets, or taking your essentials to the beach. The idea is to bottle up the memory of how these pieces were found, and there will be more introductions coming to the site later this summer! We’re also really proud to be working with incredible emerging brands that work directly with artisans in their local communities, including Tottem and Ka’imima from Colombia and Artesano and G. Viteri from Ecuador. They are creating really special, exquisite pieces that we instantly fell in love with, all the while supporting their local communities. 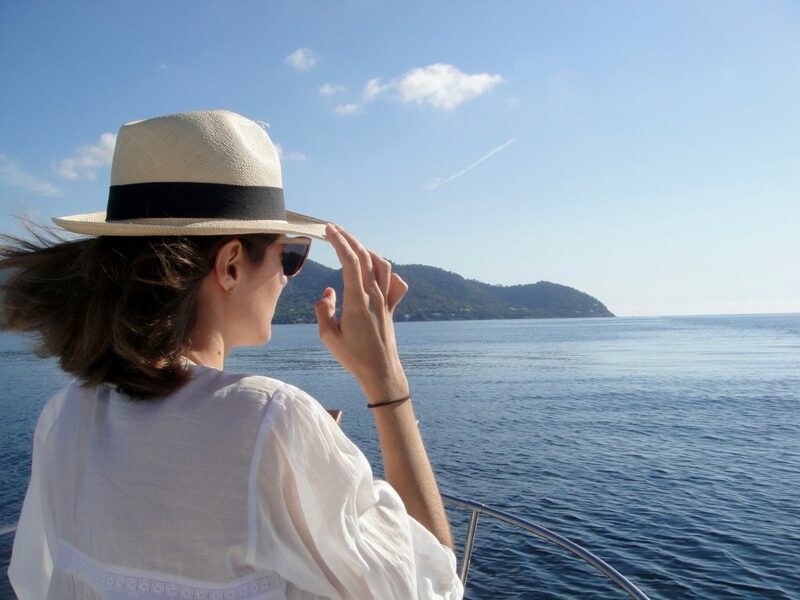 Florencia Cavallo on vacation in Italy. What are some of your favorite beach destinations and why? FC: My favorite spots are always the ones I haven’t discovered yet! I adore finding new places, and I’m always thinking about what my next destination will be. I have a special place in my heart for Aussie beaches; they are so tranquil and surrounded by nature. Second Valley in South Australia is one of my favorites. It has steep coastal cliffs and rock formations, which makes it a great place to snorkel and explore. But I also love the pebbly beaches of Italy—there’s something about the Italian lifestyle and endless supply of Aperol spritz that gets me every time. ──────────────────────────────── ELT: I love the Mediterranean in the summer. I’ve always loved the rocky beaches with cool water. I also discovered beaches in the south of Turkey on the Aegean with my husband, and now I have a soft spot for them. There’s something about the dry heat, the white coast, and the seemingly neverending blue at your feet. To me, it’s really synonymous with summer.